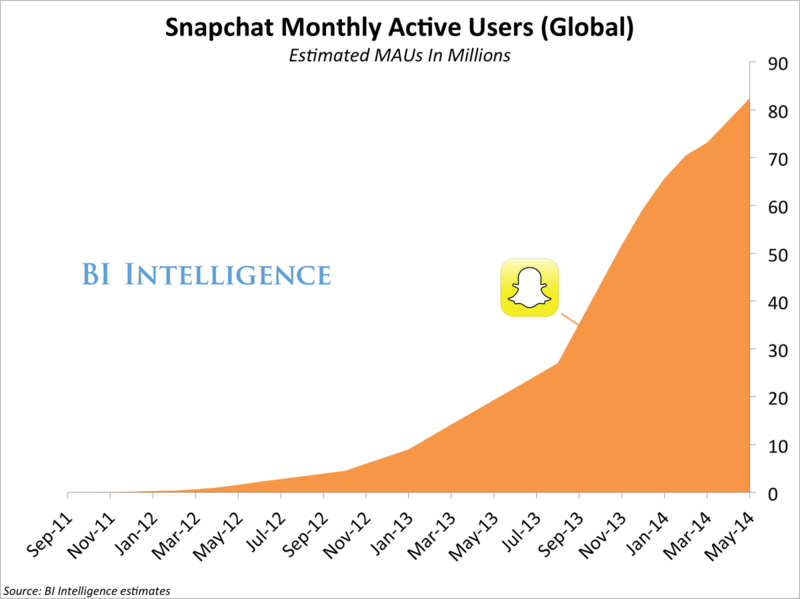 “Snapchat has significant scale: We estimate it reached 82 million monthly active users globally as of May 2014. That’s about one-third Instagram’s size. 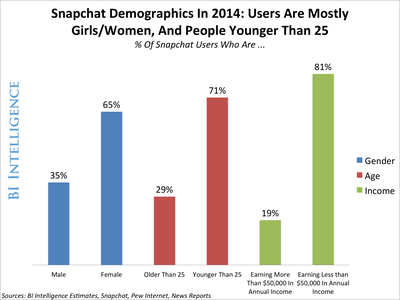 The majority of Snapchat’s users are female, and 70% are between the ages of 13 and 25, according to our estimates. Young women are a difficult-to-reach and influential demographic. Engagement is high: Two-fifths of 18-year-olds in the U.S. use it “multiple times daily” to communicate with family and friends. That’s a higher proportion than those saying they use voice calls multiple times daily. Visual sharing on Snapchat is exploding. Sharing of Snapchat Stories increased 100% in the last two months. Stories are now getting 1 billion views daily, while 760 million disappearing photos and videos are sent daily. Snapchat is more than disappearing photos. It has introduced several marketer-friendly features in the last eight months, including videos known as “Snapchat Stories.” The app’s users can use Stories to weave together collections of photos and video. Brands, too, have been quick to adopt stories. Like with TV ads, brands can make their stories 30- or 60-seconds long, a comfortable and familiar format for advertisers. Also, Stories don’t disappear after a few seconds. They can be watched again and again in a 24-hour period.